The new TCIII is the enthusiasts’ flagship wheel in the Advan Racing lineup! 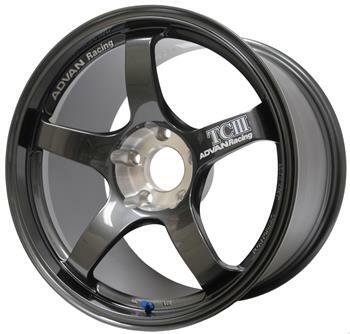 This wheel is specifically targeted towards the racing enthusiast, made to withstand the rigorous abuse with r-compound or slick tires. The TCIII features a Flow Formed cast construction and was designed for ample caliper clearance on vehicles such as the R35 GTR and Porsche GT3 RS. Only available in 18 inch applications, all sizes come with a high concave design in either Hyper Racing Silver or Dark Gunmetallic finishes.